Flamingo Films produces music video for Daughtry’s newest single “Out of My Head”. Directed by Shane Drake, Executive Produced by Sandy Hadadd and Produced by Brandon Bonfiglio they brought in the very best to shoot a high octane action video using BMW ‘s RT 1300 motorcycle and Dodges RT8 Challenger. Co- Staring in this action video was actress Kelly Hu “Martial Law, Young Justice“. The Production being under a time constraint brought in Stunt Driving expert and member of Generation x Driver TJ White and T Minus Production to create and supervise the stunt driving. TJ White is not a stranger when is comes to stunt driving performing and directing some of the memorable action scenes for N’Sync, Fuel, Bon Jovi and Static. TJ stated working with a director like Shane was a pleasure, i have been a fan of his work for a while and know he has had extensive car work working with Ford and American Idol. 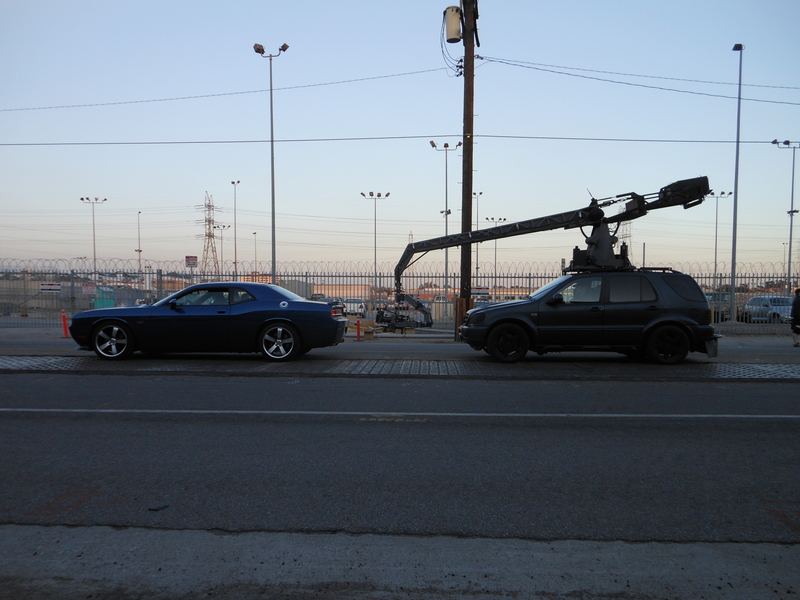 So i knew when we went over the concept the best way to shoot the Fast and The Furious style action we would need the equipment they used in those films like the Z Crane. The Z Crane with his great handling Mercedes ML 55 and there customized one of a kind remote head makes is easier to get the kinetic shots this video will need.